Growing up near Washington, D.C., Devon Ashby, 22, became a fan of the area’s major sports teams and dreamed of someday playing for the Washington Redskins. But his father offered him some life-changing advice. Devon has been writing about it ever since. 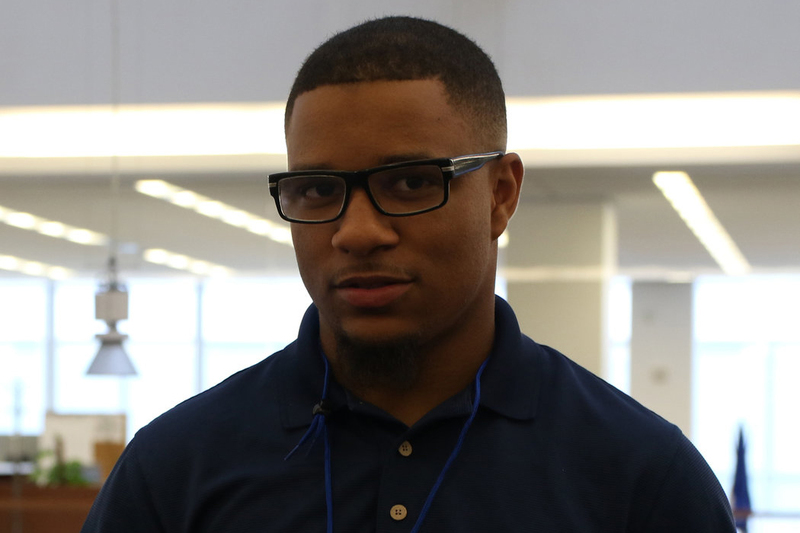 He started his own sports blog at Morgan State University, where he is a rising senior. His blog eventually caught the eye of the editor in chief of the student-run newspaper, The Spokesman, who offered him a job. Now a seasoned staff writer at The Spokesman, the Rockville, Md., native hopes The New York Times Student Journalism Institute will take his journalism career to new heights. If he were not committed to journalism, Devon said he most likely would have been a historian, specializing in black and world history. His interest in history and culture complements his aspiration to cover sports in the context of racial and cultural issues, such as the name change controversy surrounding the Redskins. The Undefeated on ESPN, one of his favorite sports sites, practices a similar type of sports journalism. Overall, Devon strives to find the type of stories that traditional sports journalists wouldn’t typically look for. He hopes to write for top news organizations such as ESPN, The Associated Press or Bleacher Report, but he would be satisfied just working with a company that allows him to tell the stories he wants and to travel the country while doing so.